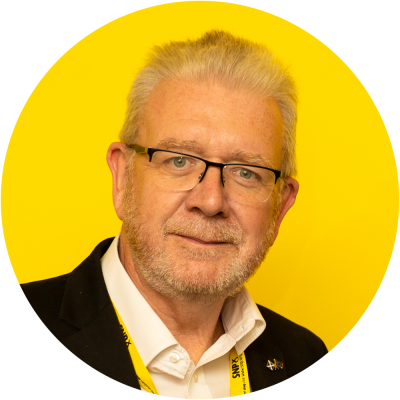 Below is a statement given to the Scottish Parliament by the Minister for UK Negotiations on Scotland’s Place in Europe, Michael Russell MSP. Just over 18 years ago – on the 3rd of May 2000 – this Parliament passed the Abolition of Feudal Tenure Bill. It was one of the earliest pieces of legislation we tackled and it brought to an end an 800 year old system which had been past its sell by date for generations. In the final debate Jim Wallace commented that the bill showed that Scotland’s new Parliament would “do things that Westminster would never get around to doing” and a similar sentiment was expressed by others across the chamber pointing out that land reform for Scotland had never been a priority for Westminster. This Parliament was created to have the time, the focus and the expertise for Scottish issues that Westminster lacked. And that has been the case. Collectively Scotland has slowly forgotten the endless occasions over many years on which Scottish priorities for legislation were sidelined by Westminster, or Scottish political imperatives ignored, such as the occasion in January 1986 when those marching to save the Scottish Steel Industry – the Gartcosh Marchers – arrived in London to discover that the Prime Minister would not meet them and that the Official Opposition wouldn’t bring their cause to debate in the Commons. However, Presiding Officer, the bad old times returned with a vengeance last week. Despite the fact that this Chamber had voted by 93 to 30 against giving a Legislative Consent Motion to the EU Withdrawal Bill – the first time such an action has taken place – and despite the vast importance of the EU Withdrawal Bill for peace in Northern Ireland – the House of Commons had no time to think about, or talk about, the devolved nations. Instead it just decided to legislate against the wishes of this Parliament without even a debate. No – that is not completely true. It did have 19 minutes to spare, but those 19 minutes were taken up in their entirety by a UK government minister who has only had responsibility for relationships with the devolved nations for less than six months. So here we are again faced with one of the key problems that devolution was meant to solve – a dependence upon an archaic, out of touch, Parliament run by a Government which Scotland didn’t elect and which thinks little and cares less for us. But it is more damaging than before because now we are in the midst of the worst political and governmental crisis for many generations. Our national wellbeing is threatened by a decision to leave the EU that Scotland voted decisively against. And in addition the UK Government’s flagship EU (Withdrawal) Bill is in a state of utter confusion as it approaches its very final stages at Westminster. A Tory Civil War rages around it, as it does around the whole disastrous Brexit project, whilst the threat to jobs, living standards and rights grows more imminent by the day. What protection does Scotland have in these circumstances? What can we do to deflect, even in part, the chill, hostile winds that are blowing from Westminster? Well, Presiding Officer, the Sewel Convention was meant to be one such shield. It was meant to ensure that Scotland could not be ignored; that the concerns of this Parliament would be heeded in the developing process of devolution. But last week that too was a victim of Tory insularity and arrogance. In a sense that is not surprising. A UK government prepared to sacrifice prosperity, security and its standing in the world in order to satisfy a small extreme group of its backbenchers was always likely to regard the interests of Scotland, Wales and Northern Ireland as expendable too. But, the wellbeing of Scotland may mean nothing to Westminster, but it is our central and overriding concern. So this Scottish Government will do everything in its power to protect that wellbeing and to promote the rights and interests of everyone who lives here. We are not going to allow the process of devolution to go backwards. We are not going to have our country ignored and our rights trampled at Westminster’s whim. Presiding Officer, let me turn first to the EU Withdrawal Bill, and the Sewel Convention. These are two distinct but connected issues which face us when we consider this matter. Firstly, the EU Withdrawal Bill itself still contains unacceptable provisions that would allow UK Ministers to change, by order, the powers available to the Scottish people in this Parliament without the Parliament’s – and Scotland’s – agreement. That breaches constitutional principles reflected in the procedures under sections 30 and 63 of the Scotland Act. The second issue is that the UK Government is ignoring the vote of this Parliament to refuse legislative consent to the Bill – in direct breach, we believe, of the Sewel Convention. That Convention is there to prevent Westminster legislating without our consent in areas within our competence or to change our powers. This is essential to the security and stability of devolution. The Convention has never been breached before. Now it has been. But it is even worse than that because in his statement on Friday the Secretary of State for Scotland turned the Convention on its head. He now says that “the devolution settlements… explicitly provide that in, situations of disagreement, the UK Parliament may be required to legislate without the consent of the devolved legislature”. This is not so. The whole point of the Sewel Convention is actually the opposite. It is there so that in cases of disagreement the UK Parliament will NOT legislate without the consent of the devolved legislature. It does not mean – or at least it did not mean until the Mundell Proclamation on Thursday – that Sewel is actually there to enable this Parliament to be overruled the moment it dissents from a Westminster diktat. Of course the Secretary of State is right to say that the Convention is not absolute. It says that Westminster will “not normally” legislate in these matters without our consent. “Not normally” has not been defined, but has been understood to mean extreme circumstances. Circumstances that would be clear and obvious to all. But the current UK government is changing that definition too. Now it means whenever it wants to get its way on whatever subject it chooses. Nothing more or less. That is not how devolution was designed. That is now how devolution is meant to operate. Clearly, Presiding Officer, we now need to revisit, with urgency, how Sewel is defined and operated. We need to do so quickly too. There are a number of Westminster Bills coming up – Trade, Fishing, Agriculture, and the Withdrawal Agreement – that will require consent. We cannot have a repeat of last week. We will therefore be seeking urgent discussions with the UK Government on how, first of all to protect Sewel before bringing forward any other Legislative Consent Motions to this Chamber. Of course when the most recent Scotland Act was going through the UK Parliament, we argued that the references in it to the Sewel Convention would be nothing more than a convenient fig leaf. But at that time we also proposed a set of provisions which would have put Sewel on a stronger, statutory footing. Crucially, these provisions would have required the UK government to consult with the Scottish Government on any Bills requiring consent in advance of their introduction, and they would have provided a proper statutory footing for the Sewel Convention, as recommended by the Smith Commission, by setting out the requirements of the Convention in full, on the face of the Scotland Act. Those provisions would have protected the role of this Parliament in the laws it is responsible for; not confused it, as the UK government’s preferred provisions clearly have now done. They would have also strengthened intergovernmental working. It is therefore time to look again at how we can embed the requirement for the Scottish Parliament’s consent in law. And if legislation at Westminster is required to give the people of Scotland the assurance they need on that matter then we would expect that would swiftly follow. We must also, whilst we are at it, look at new robust inter-governmental processes – for example by placing the JMC structure in agreed legislation with enforceable rules including dispute resolution. The whole of the Scottish Parliament should be involved in taking this process forward and I – as ever – would welcome input from across the chamber. I have asked the other parties to meet me discuss the matter at an early date and it would be good if we could find an opportunity for an initial debate before the recess, seeking views from all sides. I would like to think that protecting this Parliament and how it works for our constituents would be an obligation for us all and that we could find a constructive, collective way to demonstrate that. Presiding Officer let me finally turn to the broader negotiations for EU Withdrawal and the issues that arise from it some of which require urgent action. With every week that passes, the evidence accumulates to support our position whilst continued EU membership is by far the best option, at a minimum Scotland – and preferably the UK as a whole – should remain members of the European Single Market and Customs Union. Our analysis published earlier this year estimated that leaving the EU could result in a hit to Scotland’s GDP of up to 8.5 per cent, equivalent to a loss of up to £2,300 per year for each person in Scotland by 2030. Despite the evidence the UK government has not yet listened to us, or to its own analysis, or even to anyone with any knowledge of the matter. To make matters even worse the UK government seems determined to pursue wholly unrealistic negotiating positions wasting precious months in the process of doing so. Indeed so serious is the situation now that one EU official was quoted by an Irish journalist at the weekend saying that the talks were heading for a “cataclysmic” outcome. While we continue to make representations to the UK government, and seek to take us off the damaging course of a hard and unnecessary Brexit, the Scottish Government is intensifying its preparations for all exit possibilities in order to support the Scottish economy and our key sectors in what are and will continue to be very uncertain times. This Parliament will now also have to step up its focus on the technicalities of withdrawal. We owe that to the many people and sectors – agriculture, business, the third sector – who need information to plan for the future and who have not had it from the UK government over the past two years. Of course, the Scottish Government will never bring to this Parliament recommendations which would restrain its competence and reduce its ability to serve the people of Scotland. But we need to press on with identifying and drafting the measures required to bring at least a degree of legislative continuity and certainty in these uncertain times. We will therefore be providing this Parliament with the initial detail of the required secondary legislation at an early stage in the new session and I expect that intensive legislative process to get underway shortly thereafter. We will give the maximum possible opportunity for proper Parliamentary scrutiny of such legislation in line with the arrangements being developed by both Parliament and Government to assist this process and as outlined and improved during the passage of the Continuity Bill. More widely on the issues of preparation we have had, of course, significant recent contributions to the overall process such as the Agriculture Champions report on the development of a future agriculture strategy published at the end of May and the Roundtable on Environment and Climate Change report published shortly thereafter. Last week I announced the funding for a Children and Young Person’s Panel on Europe and on Friday the Cabinet Secretary for Justice published a further Scotland’s Place in Europe paper on Security, Judicial Cooperation and Law Enforcement. Tomorrow Fergus Ewing will be laying out more detail about his post Brexit plans for agriculture and in the coming weeks and months we will be publishing more papers and inviting, and proposing, more involvement across a range of subjects. It is of course very disappointing that the response of the UK government to such initiatives being taken by this Scottish Government – and to the actual votes of this Scottish Parliament – has been unhelpful and is now contemptuous. That attitude means that we cannot, and devolution cannot, continue with a “business as usual” approach. Some of the required changes are indicated in this statement. Others will come forward in time. That is and will be our firm intention going forward.